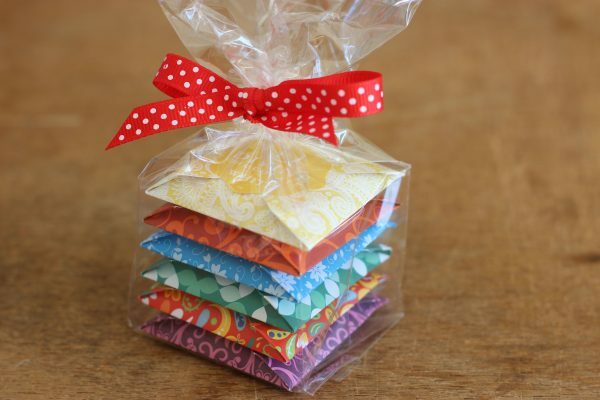 Your customers will be attracted to the beautiful hand wrapped chocolate parcels when presented on the counter stand and in gift bags or cubes. 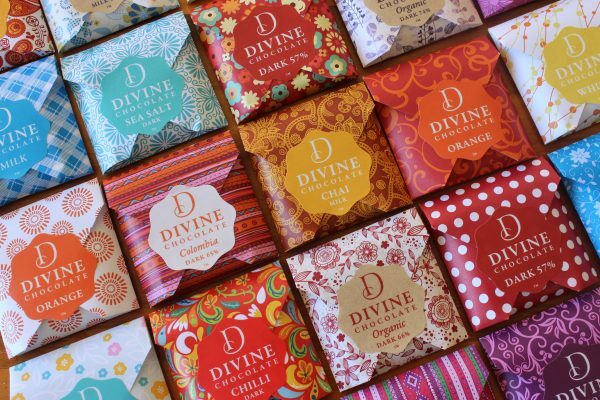 The variety of chocolates and designs provides the perfect match for any purchase and the size and value make Divine Chocolates the perfect add on. Give your customers the opportunity to add the perfect finishing touch to their purchase. They look fantastic on our counter. 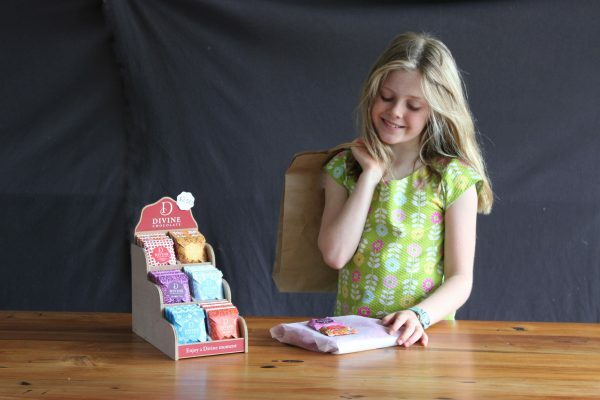 We have worked really hard to create a beautiful shopping experience. Divine is the only chocolate that complements that experience. 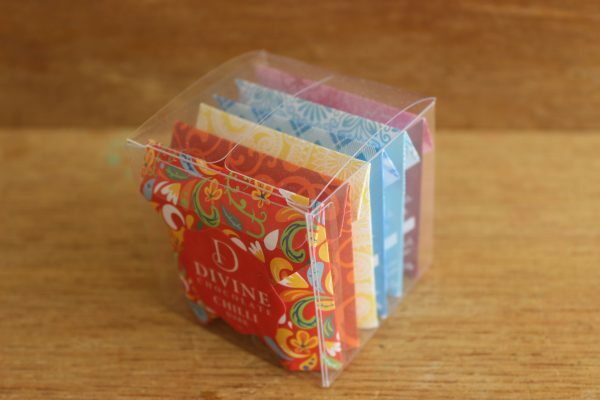 Divine chocolates work really well for us. They are beautiful and they make a great gift on there own -( in gift bag) or as an add on to a purchase. A number of customers pop a chocolate into an envelope with a card. I have the perfect cards to match the chocolates. 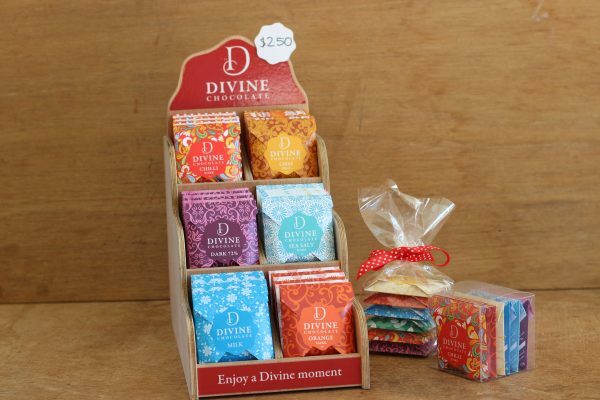 The Divine stand is on our counter at the point of sale. When making a purchase our customers are attracted to the beautiful chocolates and they are a last minute decision. They are great value for an add on and provide the perfect finishing touch.